A big thanks to all of you who came down to FELIZ this past weekend. It was great seeing you and we appreciated the support! Well, after seven and a half years of sometimes daily blogging and sometimes no posts for weeks, I'm letting go of Abby Try Again. Thanks so much for all of the support here on the blog, over at etsy, at my bigcartel shop and flickr. I'm going to take some time off and focus on Asa and my own work. You can still find me over on instagram, flickr and pinterest. I'm sure sooner or later I'll be back to blogging but it's time to say goodbye to this space. I'd like to give you readers a little gift, if you'd like. I'd love to make about a dozen or so of my images available to you to download and print for free. If you want to take a look at my flickr (this set might help) and comment or email what your favorites are then I will post them next week or so. Thanks again for all of the support over the years! Well, finally this special weekend is almost here. I've been working on this project for almost a year now and am so glad to have it finally happen. If you are in or around Austin, we'd love to see you at one of our events! I'm working on a special post more about the people and goods involved, hope to have it up soon. 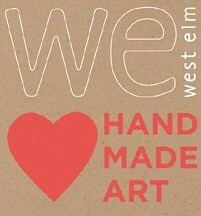 Big thanks to West Elm for their post today. One year come and gone. I had great intentions of writing some grand post about this but all I can muster up is this: a link to a wiki article about birthday cake. Interesting, no? Perhaps someday I will gather up the courage to write about the first year. Just wanted to let you know a great new store is opening next weekend and you're invited! Mockingbird Domestics features goods by several local folks (including some of our FELIZ artisans). On September 15 they are hosting a Grand Opening and you should totally go! I wish I could but we'll be in California celebrating my son's first birthday. Yeah, he's going to be ONE. WTH! Anyway, the store is run by a really sweet staff who are super friendly and have great taste. The space is going to be more than just a retail space-they've got some great stuff planned for the future. Be sure to stop by their blog or online shop if you are not in Austin. OH and go enter the GIVEAWAY! Only three people have entered, come on that is amazing odds. And just a note to say: you guys rule. Seriously, I've been getting the sweetest comments and emails about this post and I wish I was more put together and had time to answer each one. Omlette, sheet biscuits and hashbrowns at The Monument Cafe, amazing how light and not greasy this actually was! Hooray for serving REAL food. As some of you know, I've been working on this project since January. I can honestly say, it's been more work than any other project I've done (apart from raising a child, of course). Recruiting artists, sponsors, finding venues, figuring out the details, trying to promote, etc, etc...you understand. Now that is not to say that I don't enjoy it, but just that-it's a commitment for sure. And to be honest, something that I'm working on for free (is that wrong to admit? Well, I'm all for being honest). Recently someone asked "Why? Why do this?" A fair question, to be sure, but for some reason it irritated me as well. Maybe because I find myself asking that question over and over again in my head? So I've been taking some time to pause and think about the answer. Well, I guess the answer is-because I want to believe. I want to believe in people who pursue their dream of working for themselves. I want to believe in people who love to make, to create. I want to believe in people who use their talents to create beautiful, lovely things. I want to believe that when you get all these types of people together-that something magical happens. You know why I believe this? Because I've seen it here and here and so many other places. And I want to share it. And I really and truly believe that Austin has this community that can support this. Now I know that "believing" doesn't pay the bills. I'm aware that this is not something we would be able to keep up year after year without paying ourselves for our work. Hopefully, we can make this happen. Maybe I'm crazy; that's probably true. I just really feel that life is too short not to take risks. You gotta dive in some times. I just wanted to say thank you to all of those who've been supporting us over at FELIZ. We feel the love and appreciate it! What are you working on lately? I'd love to hear. Since Asa's birth I've learned more about myself and other people than I did during the previous 29 years. I learned about friendship and fear, about my shortcomings and strengths, about expectation and the power of thought. I learned that I know very, very little in general. I learned that some times it's better just to let go of relationships rather than feeling the need to work at them. I learned about meeting people where they are at. I learned about asking for help. I learned that there's a lot I need to work on and that is ok. I learned that karma is real, both bad and good. Most importantly, I learned that comparing yourself to others will never end well. Maybe I am still working on learning this lesson. Oh yeah, I also learned that I don't give a rat's arse about the latest shopping trends-not even close. If you follow my instagram, you may notice I stole these images from there. I hope to be back to sharing real photos soon, but these shall suffice. Life lately is full of projects. Our CSA box comes stuffed full each week and I do my best to try and get all that I can out of it. Tomatoes become salsa, the peppers are pickled, roasted and dried, eggplant gets swallowed down and the basil is a never ending pesto supply. It's been a great way to experiment, to step out of my comfort zone and learn to make do. With Asa things are a constant flow of change and developments. The boy is one of the most independant souls I know. I found myself at my witt's end constantly trying to control him. I realized that wasn't going to work for either of us. After a lot of reading I've found that Montessori principles are working well with him. I'm absolutely enamored with this blog and all of the information and inspiration it provides. This blog is great, too-especially this post. It's amazing the things babies can do when we let them. Thank you for the kind comments yesterday. It felt very good to read them. What is inspiring you these days? I would love to know! Also, been working my little heart away over here if you are interested. This May marked my seventh "blogging anniversary". It came and went, no fanfare, no celebration. Does it matter? Should it matter? And once again the question, why am I blogging? Over the past seven years we built a new home and communitiy in Portland. I worked a few jobs, a couple of terrible ones and one fantastic one with a staff and boss that changed my life. I discovered my love of photography and my love of telling stories with images. I made amazing friends and planned some very fun events. We moved to Texas, added another to the family and slowed down. It's a true statement: my blog changed my life. I would not have had so many of the opportunities without it (selling my photography to hundreds around the world, seeing my photos on the big screen, planning dream events). I am very lucky. I want to thank you for following and supporting that journey. Shooting film photos is not sustainable for me. Quite frankly, I can no longer handle the cost, the clutter, the stick to it-iveness it requires and my beloved yashica is broken anyway. I cannot blog daily. I don't visit flower fields and pretty shops and create beautiful table tops. So... from here on out, I will stop trying to make this place what it once was and I will stop apologizing for it. I invite you to join me for what I am now, who we are now. This will include babies, digital photography and real life scenarios. No more Baby T blog, it will all be here. It will be different, and that's ok. Ultimately, the answer to the question why do I blog is to be a better me. To share, to connect and discover. This is my goal for this space for now. So, here it is. Me trying again. I hope you are all well, my friends. Having a child made me realize that I need to start recognizing progress in a different way. Little victories become large ones, daily tasks are celebrated. Finishing chores is the sign of a good day, indeed. Hopes of resurrecting this space as a daily photo blog are dashed, but Instagram becomes a good enough substitute. Baby steps, Abby. Slowly, surely...progress comes.